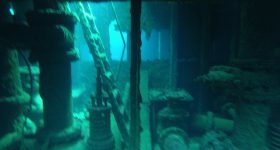 Maximum Depth: 18m / Visibility: >20m / Currents: None / Prerequisite Certification: Open Water Diver / Distance from the diving center: 50 min. 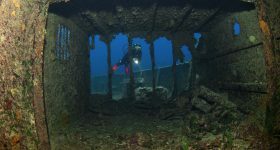 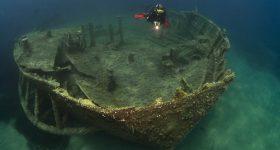 Just a few meters off the coast line of Othonoi island you will find this fantastic shipwreck. 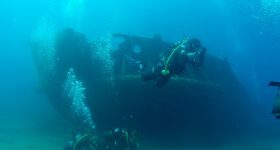 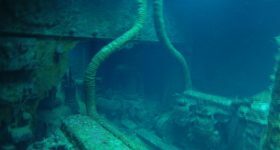 It is lying at 18 meters and the divers have the chance to penetrate to the engine room and other parts of the ship. 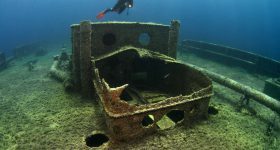 Another interesting wreck, with plenty of sea life! 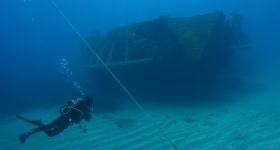 An excellent dive site no matter how experienced you are.